Help us raise $2,500 to provide 50 grocery cards to cancer patients this holiday season. Donate today and we'll add your special someone to our Honor Roll. 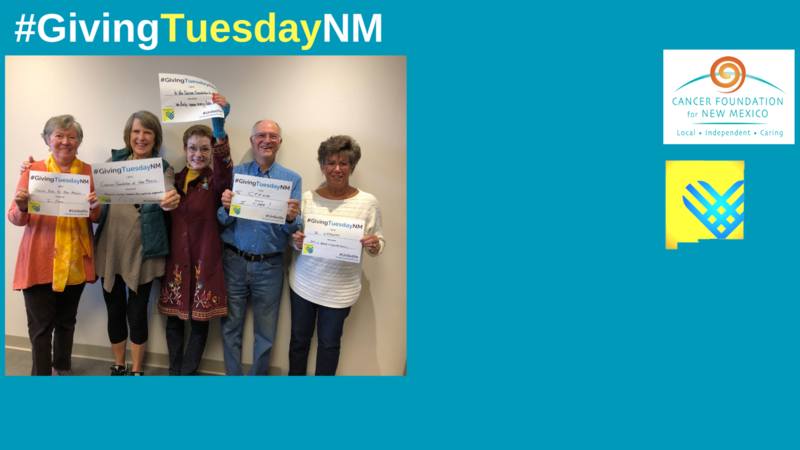 Our mission is to help save lives by providing the needed support to enable every northern New Mexican with cancer to access treatment in Santa Fe. Help us raise $2,500 to provide 50 grocery cards to New Mexican cancer patients this holiday season. Donors will have the opportunity to list a special someone under the Honor Roll section of our website: a friend, family member, beloved pet, or even a healthcare provider. What better way to honor a loved one who has been affected by cancer than to support others who are involved in the fight? Your support makes an incredible difference to those who receive our services. A cancer treatment regimen can be physically, financially, and emotionally exhausting. It often results in a loss of earned wages and energy, and an increase in financial obligations. We provide grocery cards to qualified patients and their families to ensure access to wholesome, nutritious foods during active cancer treatment. Santa Fe is the location of northern New Mexico's primary cancer treatment center, a region spanning thousands of square miles. Some treatment regimens are 5 days per week for 4-7 weeks at a time. We provide mileage reimbursement to qualified patients to alleviate the financial burden posed by round-trip travel. We provide hotel stays for qualified patients who must travel to treatment, in order to alleviate the physical and financial burden associated with long-distance travel. We offer four types of support groups in two locations (Santa Fe and Los Alamos) to cancer patients and their caregivers. These groups are offered at no cost, regardless of financial need, and are led by experienced, licensed facilitators.